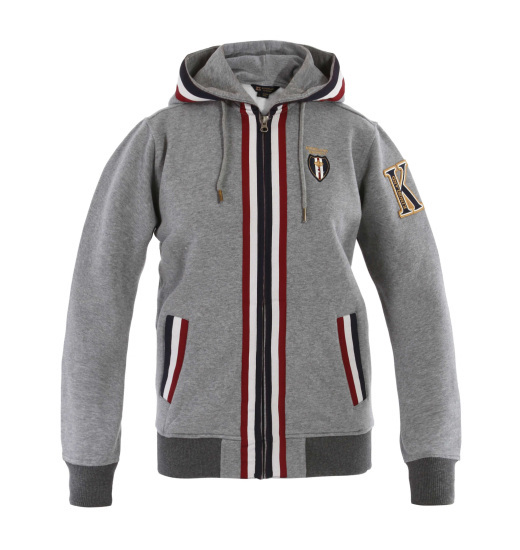 Unisex sweatshirt from the latest Kingsland 2013 Update collection. Made mostly of cotton. Zippered, with a hood. 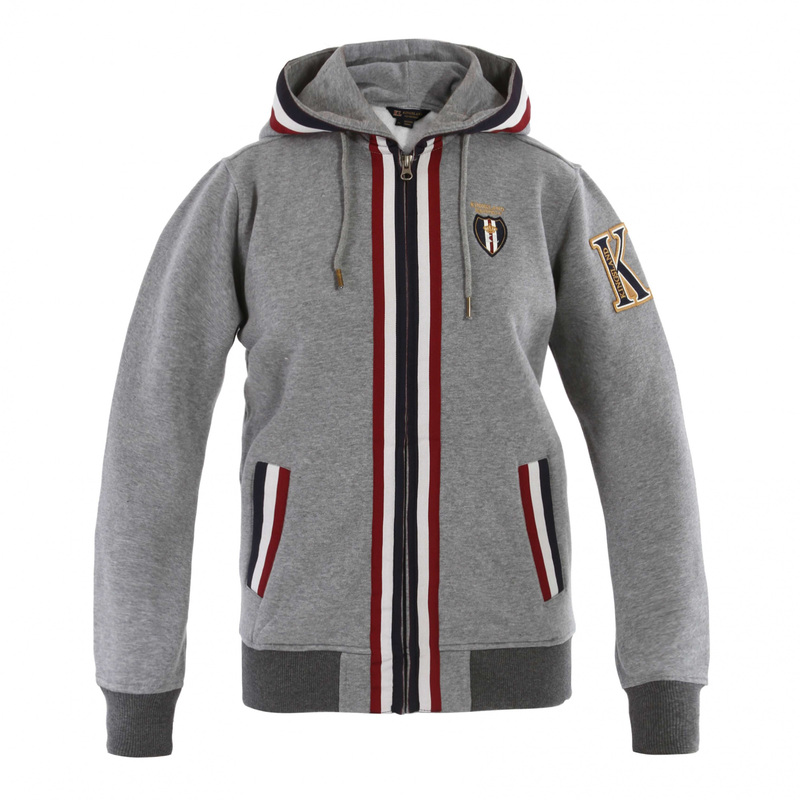 Available in gray with interesting stitching in the form of strips in navy blue, white and maroon along the zipper, around the pockets and hood. Ribbings in a darker gray color. On the back KL logo in the same color as the strips. On the side of the sleeve quite clearly visible KL logo embroidery. 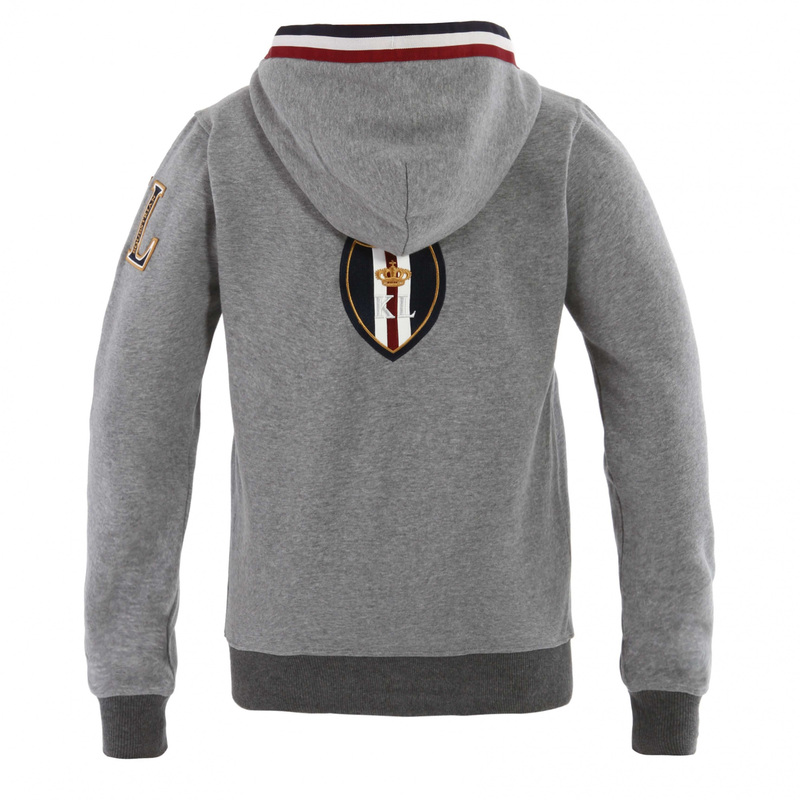 Perfect for cooler days and evenings.